What is that bag attached to my grill cover? This bag is an option for storing the cover when the cover is not on your grill. Now you have a nice place to store the cover instead of leaving it lying on the ground or in your garage. 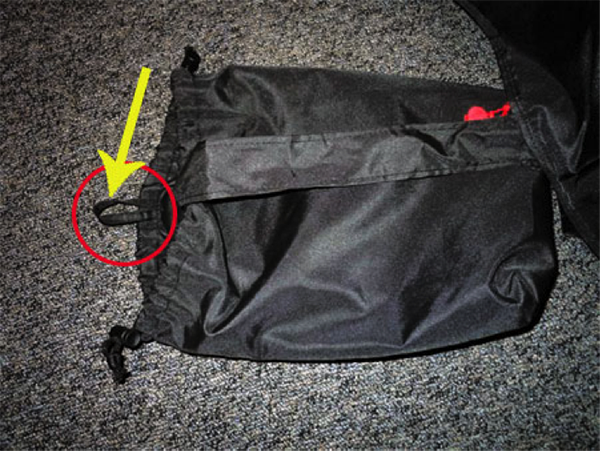 The storage bag has a small loop which is used to attach the bag to the cover when not in use. 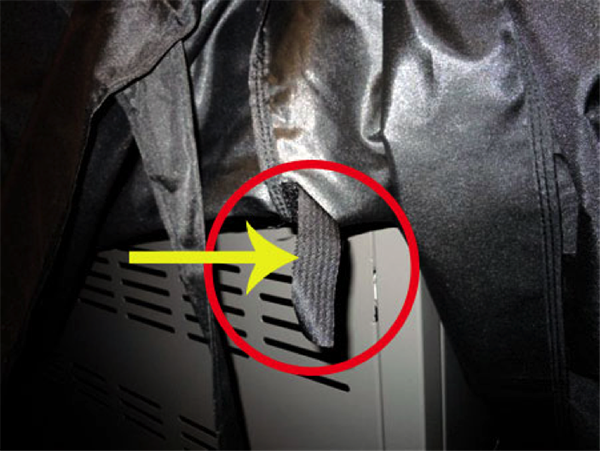 On the underside of the back of each cover is a small piece of velcro. 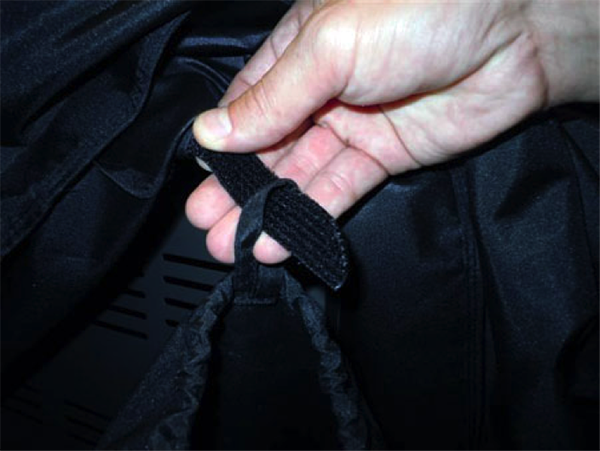 Thread the velcro through the loop on the storage bag and attach the velcro to itself to secure the storage bag to the cover and keep it dry and out of site.